After a first look at the sneaker emerged recently, adidas Consortium and A Ma Maniére have officially debuted their take on the Crazy BYW Low silhouette. The design of the sneaker mixes different reference points, including the role of basketball sneakers in streetwear history, A Ma Maniére’s premium reputation and the “natural movement” philosophy that influenced footwear during the 1990s. These influences are shown through the color palette of deep purple and inky tones as well as the premium construction featuring suede and nubuck leathers. The sneaker is then finished with classic Crazy BYW Low touches, such as the BOOST-equipped midsole and a neoprene bootie construction for added comfort. 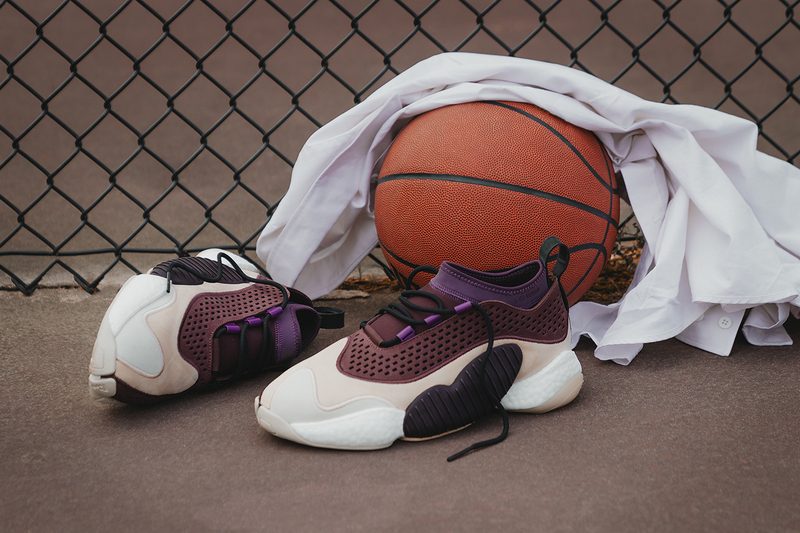 The adidas Consortium x A Ma Maniére Crazy BYW Low is set to hit select retailers on April 27. In other footwear news, take a look at adidas Consortium’s collaboration with Shelflife.